There are moments in cinema that not only impact audiences, but also the film industry at large, literally changing the way future filmmakers approach the medium. In honor of the 25th edition of their annual “Hollywood Issue,” the film critics at Vanity Fair compiled a list of the 25 most influential scenes from the last quarter century and invited the actors and directors behind them to share some insight. Folks, the list is good. Now, before huffing and puffing about how there’s nothing from The Godfather or Seven Samurai in here, know that the list only includes scenes from 1995 and beyond. That means the opening scene from Scream, the “I’m the king of the world!” moment from Titanic, and Gollum’s face-off with himself from The Two Towers all get the love they, like it or not, deserve. But no list of scenes that changed cinema would be complete without the gut-wrenching D-Day sequence from Saving Private Ryan. From both a technical and emotional standpoint, the brutal, muscular sequence added a new level of realism to simulated combat and changed the way war was depicted on film for years to come. Just try to imagine the gruesome, cathartic Hacksaw Ridge existing without it. 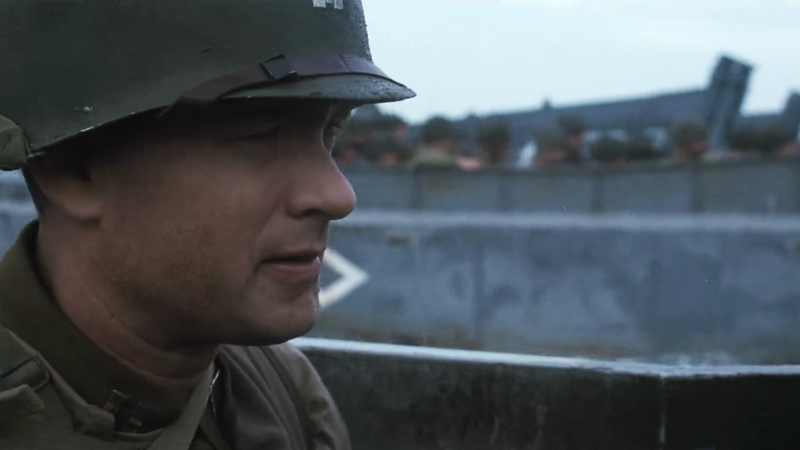 “When I first saw the completed sequence, I wept,” says Tom Hanks, who stars in Saving Private Ryan. “The landing, from the boats to the top of the bluff, was too horrible to watch without becoming undone. People see that landing sequence as a seminal 20 minutes, not just in the history of war movies but in all of cinema.” Hard agree. See the whole list here, which includes breakdowns from Sofia Coppola, Keanu Reeves, and Jordan Peele.